Our 7 day weather forecast for Taunton updated throughout the day, making it ideal for planning leisure activities, travel and events. Read more about our weather forecasts. On Monday 22nd April 2019 the sun will rise at 06:05 and will set at 20:20. It will be a mild day, with temperatures reaching around 16.4°C. Today is expected to be a dry day, with a very low chance of rain. It will be quite a breezy day, with a maximum expected wind speed of 21mph. On Tuesday 23rd April 2019 the sun will rise at 06:03 and will set at 20:22. It will be a mild day, with temperatures reaching around 17.5°C. A light shower is possible, 2mm of rainfall is possible today. It will be quite a breezy day, with a maximum expected wind speed of 23mph. On Wednesday 24th April 2019 the sun will rise at 06:01 and will set at 20:24. It will be a mild day, with temperatures reaching around 11.9°C. Some moderate to heavy rain is expected, 9mm of rainfall is possible today. It could be quite a gusty day today, with a maximum expected wind speed of 33mph. On Thursday 25th April 2019 the sun will rise at 05:59 and will set at 20:25. It will be a mild day, with temperatures reaching around 12.3°C. Some moderate to heavy rain is expected, 7mm of rainfall is possible today. Moderate Gales are possible. Please watch out for local weather warnings, with a maximum expected wind speed of 54mph. On Friday 26th April 2019 the sun will rise at 05:57 and will set at 20:27. It will be a mild day, with temperatures reaching around 10.9°C. A few showers are expected, 3mm of rainfall is possible today. Some quite strong winds are possible today, with a maximum expected wind speed of 49mph. On Saturday 27th April 2019 the sun will rise at 05:55 and will set at 20:29. It will be a mild day, with temperatures reaching around 11.2°C. Some moderate to heavy rain is expected, 5mm of rainfall is possible today. It could be quite a gusty day today, with a maximum expected wind speed of 42mph. On Sunday 28th April 2019 the sun will rise at 05:53 and will set at 20:30. It will be a mild day, with temperatures reaching around 7.6°C. Today is expected to be a dry day, with a very low chance of rain. There will be a gentle breeze in the air today, with a maximum expected wind speed of 14mph. Our weather forecast for Taunton is updated throughout the day and has been found to be very reliable for planning activities such as days out, leisure, travel, events, fishing, golf and gardening. Charming 17th century cottage offering bed and breakfast located between the Quantock and Brendon Hills in the beautiful hamlet of Vellow. 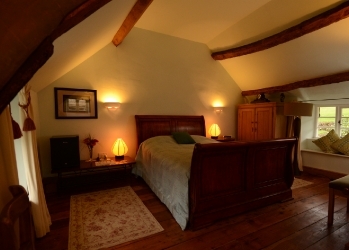 Accommodation comprises a Queen size bed with en suite shower room and private sitting room. Travel cot and highchair available.